This antenna is a high performance broadband flat patch antenna designed to operate from 5.1 GHz to 5.9 GHz (5100-5900 MHz). 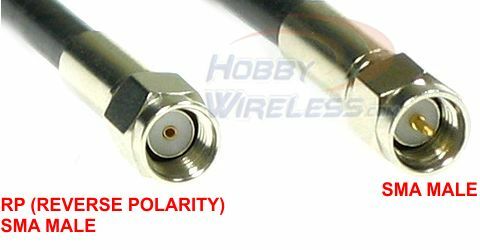 The Wideband design of this antenna eliminates the need to purchase different antennas for each frequency. This simplifies installations since the same antenna can be used for a wide array of applications where wide coverage is desired. This antenna comes with SMA connector. connector matching any of our receivers. It comes with 2' feet (60cm) long cable with SMA male connector (center pin). Note: To use this antenna with FPV582/R5800 receivers you will need the RPSMA adapter. Weight < 0.4 lbs (.18 kg). Dimensions 4.5" x 4.5" x 1"